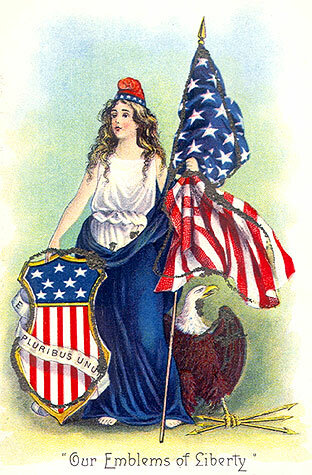 Given that July 4 is, of course, Independence Day in these United States of America, I thought it’d be appropriate to post a collection of media, primarily that honoring Columbia, the historical and poetic name for the United States of America. 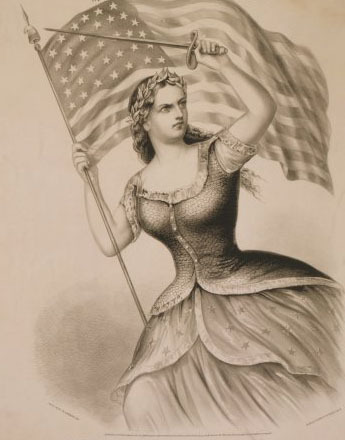 The blog “US Slave” has an informative post on “Miss Columbia – the Goddess of America“, which I encourage you to read – plus it’s where that photo came from. How did our country go from “attractive goddess” to “the old uncle”? Oh, America. The Pittsburgh Post-Gazette also has an informative article on the rise and fall of Miss Columbia as the image of the American ideal/persona. At the end of World War II, America emerged as a super power. 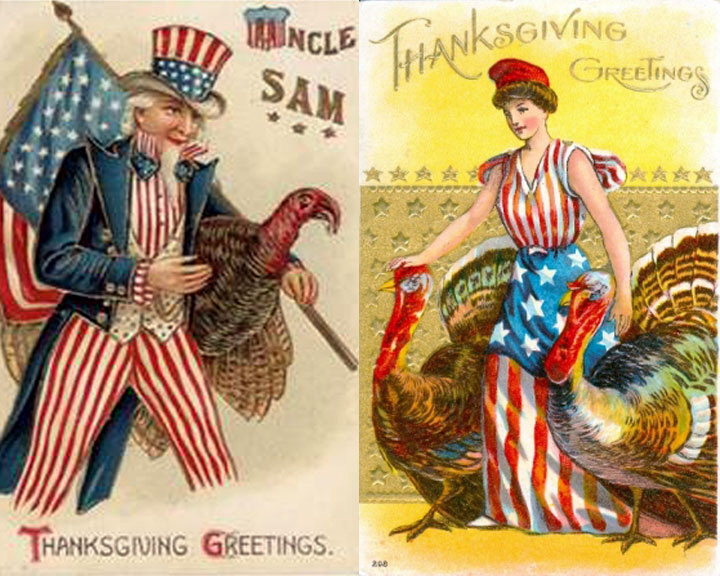 That’s why Uncle Sam remains popular as a symbol, Dr. Lordan said, because it matches our vision of the country. Personally, I think “Hail, Columbia” is the superior of the three. Plus, the music was composed for George Washington’s first inauguration in 1789, and lyrics for it were composed in 1798.